Homogeneous coordinates for a projective plane are introduced and extended to more than two dimensions. This leads to the concept of projective collineations. The theorems of Pappus and Desargues are proved using the method of homogeneous coordinates. 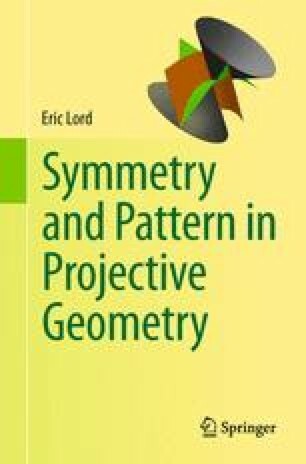 The relation between analytic Projective geometry of N-dimensions and vector space theory is established. The concept of projective collineations is introduced and the classification of collineations in the projective plane described. Plücker’s line coordinates are then briefly discussed and their N-dimensional generalization to Grassmann algebra is explained.